Hi, I’m Wendy. It’s so great to meet you. I’m a RN in Honolulu, HI, and I love essential oils. 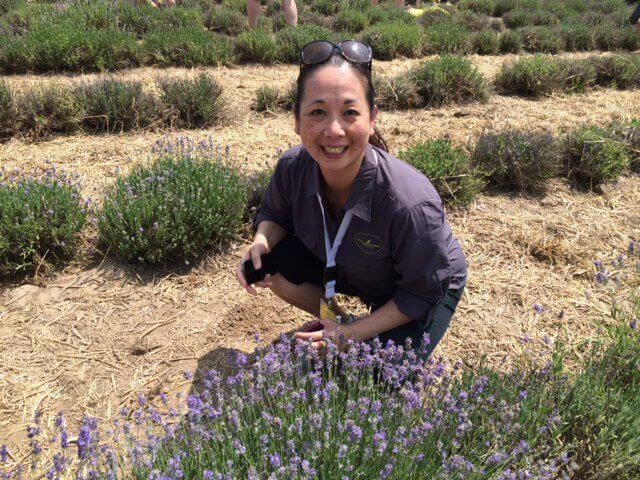 That’s me at the Young Living St. Maries farm in Idaho – where Melissa and Lavender are grown. These therapeutic-grade essential oils have completely changed my life. I make my own DIY cleaning products and homemade skin care to ditch chemical toxins in store-bought products (check out these DIY essential oils recipes). And, I use essential oils to keep my family healthy. Email me at hawaiiessentialoils@gmail.com for more information on upcoming classes or to schedule a phone call. And that’s not all. I’m a Young Living Executive independent distributor with members all over the world, and host online classes too. I also provide ongoing support, training and resources to members – including a private Facebook group, free email course, 1:1 phone calls, and more. Learn how you can save 50% off a Premium Starter Kit here. You’ll also get a free wholesale membership that gives you 24% off retail prices on future orders. Plus, I will send you a bonus gift worth over $45 – which includes an essential oils reference guide book, silver pendant diffuser necklace and much more. Get the details here. Got a question or comment? I’d love to hear from you. Please email me at hawaiiessentialoils@gmail.com.